Over the course of one tumultuous Christmas Eve, Kathy Walker confirmed her suspicions about her husband's affair, confronted his mistress, Stephanie, and saved her marriage. She and Robert have eighteen years, two teenagers, and a film production business between them - plus a bond that Kathy has no intention of giving up on. Yet though Robert is contrite, Kathy can't quite silence her doubts. While Robert reels from his wife's ultimatum and his mistress's rejection, Stephanie makes a discovery: she's pregnant. Her resolve to stay away from Robert wavers now that they could make a real family together. And in the days that follow, Stephanie, Robert, and Kathy must each reckon with the intricate realities of desire, the repercussions of betrayal, and the secrets that, once revealed, ripple through lives and relationships in thoroughly unexpected ways. Stephanie and Robert were in love, had been dating for the last eighteen months and he had just proposed. Robert, though, has been married to Kathy for almost twenty years (they have two children) but was planning on leaving his wife over the Christmas holidays. Kathy found out about the affair and confronted Stephanie about it on Christmas Eve when Robert arrived. Stephanie realized that contrary to what Robert had told her, Kathy still loved Robert and that Robert still loved his wife ... so she gave Robert up so the Walkers could fix their marriage. That is what prequel, The Affair, was about and how it ended. 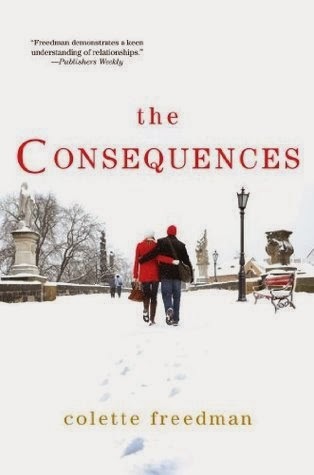 The Consequence picks up right after Kathy and Robert have left Stephanie's home. This book has an interesting concept ... it's written from three points of view (Stephanie's, Kathy's and Robert's) about the things that happen following Kathy's confrontation ... so we read about the same incident sometimes three times from each of their perspectives. Not wanting to spend Christmas alone, Stephanie heads to her family in Wisconsin for the holidays. There she realizes that she is pregnant. 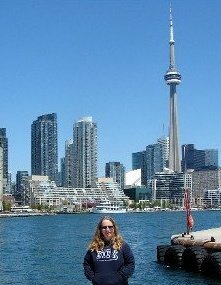 She immediately heads back home so she can deal with it with Robert. Kathy is willing to try to make things work with Robert but she has him promise that he'll never have any contact with Stephanie again. She's trying to give him the benefit of the doubt when he disappears to "the office" or gets phone calls from "friends". Robert has a dilemma ... he loves both women and isn't sure which one he wants. Stephanie makes him feel young again but he has a longer history with Kathy. Life gets even more stressed when Stephanie tells him she's pregnant and his best friend dies. Though this is a sequel, it works as a stand alone (I hadn't read The Affair but I'd like to now). It was an interesting technique to tell the same story from three different perspectives and it worked for me. I liked the writing style. I thought it flowed well and kept me wanting to read more. Plus I thought it was an interesting story. Because of the structure of the book, you really get to know the characters and what they are thinking and feeling. Stephanie hadn't been looking to have an affair with a married man but Robert had told her that Kathy didn't love him anymore and they would soon have a life together. Once she realized the true situation, she did the right thing and gave Robert back to Kathy. Kathy could understand why Robert had the affair and was willing to work it out since things had once been good between them and they had built a life together. I thought Robert was an A-hole. Even though he had gotten himself in this situation and had hurt two women, he was still more concerned about himself. I enjoyed this book and would recommend it. I look forward to reading others by this author. Sounds like yet another great book! Wow. You read a lot of books.